Hopefully your small to mid-sized business is already using social media to drive and keep business. Today, a lively social presence isn’t just a useful marketing channel – it’s a must. One recent survey of SMB customers from Time Warner found that 30 percent of respondents are likely to skip doing business with a company that’s not on social media. The study also found that 47 percent of women and almost 32 percent of men say that consistently posting on Facebook is “very effective” when it comes to acquiring and retaining them as customers. If your company is using social media, you’ve probably got someone in charge of it all. Perhaps one or two of your people handle everything, including promoting content, monitoring activity around your brand, responding to customer questions or complaints, curating industry-related news and trends, and many other vital tasks. While it’s certainly beneficial to have an individual or small team “owning” management of your business’ social media, your marketing efforts will be far more successful if everyone at your business contributes. Why should you get everyone involved? First, consider the personable factor. Whether you’re looking at community management, lead nurture, sales, customer service, retention or anything in between, your customers want to do business with people rather than corporations. Therefore, companies that put their people front and center are more enjoyable to do business with. 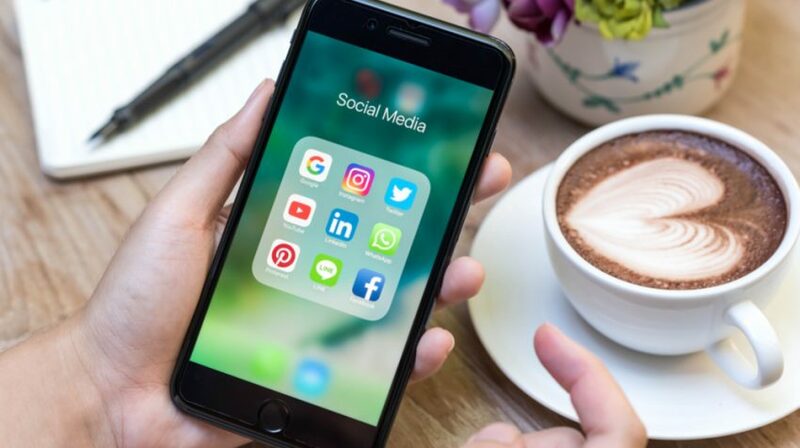 Another reason you want all your employees contributing is that your social media efforts could greatly benefit from the subject matter expertise available at your business. When you create a piece of content – a blog post, video or any other format – your business’s in-house subject matter experts can help you make sure the asset truly speaks to the issues that matter to your buyers. They can also help you to turn that piece into several additional items of content. The information in a blog post might turn into an infographic, a webinar, a podcast episode or a slide deck, with even clearer explanations of a hard-to-understand concept. Or a how-to section of a newsletter might be expanded into a video series that hashes out further details. The multi-faceted nature of social media, and the many disparate skills and disciplines at play, is another reason to get everyone in your company involved. A good social presence relies on people for content writing, audio and video recording, photography and design, data and analytics, competitive analysis, community building, influencer outreach, advertising and more. The more help you can garner, the better! If your small to mid-size business is active on social media, and you’d like to include your entire team, there are some especially effective ways to make it happen. Here are five of them. One excellent way for your employees to get involved in your social media efforts is to encourage them to share company-related content. This could mean sharing content that’s created directly by your marketing team, or it could mean sharing industry news and trends. Encouraging your people to share content that’s relevant to your brand is beneficial for both your business and your employees as individuals. Not only does it help your business reach new audiences, but it also helps build your employees’ personal brands, as it positions them as experts in the niche. If you’re not sure how to begin with this social-sharing tactic, consider using an employee advocacy tool like Smarp. This platform gives you the gamification tools you need to incentivize your people. To get the ball rolling, give your employees incentives to share your content. This can be done by creating competitions around their sharing activities. Games and weekly challenges can be created, and employees who share the most could be rewarded with gifts, discounts or donations to the charity of their choice. When everyone on your team participates in your social media activities, it’s important to knock down the walls between them. In other words, get them communicating! Sometimes, it’s hard enough to get members within the same department to communicate openly with one another. Communication across all departments can seem next to impossible. Dedicated social media meetings can help. When each meeting is finished, your employees should walk away inspired to try new tactics and make a positive difference for your business and their own personal brands. Also, communication shouldn’t cease after the meeting ends. A collaboration tool like Trello, for example, will help keep everyone on the same page. With file sharing capabilities, messaging, tagging and project management features, the momentum gained in a meeting can be kept alive long term. Workflows – or the steps and processes undertaken by a team to complete a task – are at the heart of every business. Regardless of whether your team defines and identifies their workflows, your business has them. To use a short and simple example, consider the process of promoting a new blog post on social media. It starts when the article goes live on your site. Then someone needs to build out image assets to attach to social posts. After some hashtag research, and the posts need to be drafted and approved for each social channel. Next, the posts need to be scheduled. Other promotion channels like email newsletters, community forums, paid distribution platforms, co-marketing partners’ presences and influencer posts need to be tackled as well. While the above process is relatively straightforward, you’re probably already thinking of several complex workflows your employees engage with to succeed in your social media marketing. For smart workflow management, and to make sure all processes are efficient, it makes a lot of sense to map out the workflows that your team most commonly repeats in the form of a diagram or list. When workflows are listed out, everyone can keep track of a project’s progress. And during scheduled social-media meetings, efficiencies and improvements can be discussed. If you’ve never documented your workflows before, consider using Process Street. This innovative platform enables you to easily create interactive workflow checklists for everyone on your team to use as ground zero for process replication and even automating steps. When all (or most) of your employees are involved in your social sharing, things can get tricky. Although the advantages are huge, it does require extra coordination. The right hand needs to know what the left hand is doing, to use the old but true cliché. It’s important to keep a social media calendar that spells out everything scheduled to be posted each week, along with the links that have already been curated recently. While it’s okay if some of your branded presences and team members’ profiles share the same link within a couple days of each other, if anyone notices 50 profiles sharing out the same thing every day consistently, you’re likely to come off as spammy. Conversely, you don’t want to let a valuable piece of industry news go completely unshared by your employees. If important links like these are included on your shared content calendar, it will ensure that they won’t be forgotten or ignored. One excellent marketing calendar tool to consider is CoSchedule. Not only does it organize your entire marketing plan in one place, but it also provides analytics and insights into the progress made by your people. We’ve discussed incentivizing your employees to share your company’s content, but sharing original content is only the tip of the iceberg. To bring even more value to your branding and social media efforts, and to reduce the customer perception of spam, much of your employee’s social media time should be spent curating content. That is, sharing content published by others that’s related to your industry. When your employees share valuable content related to your business and your industry, your company will be viewed as an industry leader. Your employees also gain advantages, because content curation helps them gain strong reputations within the industry as well. Discuss the kinds of content you’d like your employees to curate and share. Better yet, give them access to a dynamic library of curated links they can share. Further, consider using a content curation platform that helps you find content that matters to your industry. Anders Pink is one such platform. It gives you and your employees daily briefings with content on any topic or industry, from any source — including websites, RSS and Twitter. It then makes it easy to share this content on multiple social platforms. Your business will gain new audiences and a “human touch,” and your employees will enjoy stronger personal brands. It takes encouragement, communication and organization. But the payoff is rewarding, and it can earn you a competitive edge that lasts for the long haul.